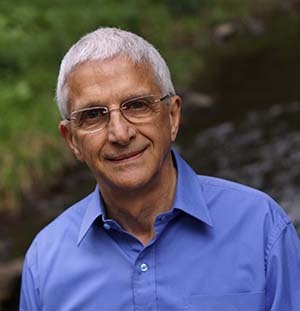 Ken Mellor has years of international experience running communities and leading workshops that combine meditative practices with personal growth strategies. He is an inspiring spiritual master and mentor. Always down to earth, he is fun, practical and engaging. People usually feel comfortable and safe when with him and open up to the transcendent, to exploring their lives in depth, to making decisions that can transform how they live. He is a Master of Meditation, a Reiki Master, and a spiritual mentor. He has extensive experience in working with people from many different backgrounds. Ken is also a psychotherapist and trainer of psychotherapists. In 1980 he and a colleague were awared the Eric Berne Memorial Scientific Award for their work on dealing with "discounting" and "redefining", two powerful processes that can create significant problems for people. He is also a prize winning author, most recently with his books Urban Mystic and Inspiration, Meditation and Personal Wellbeing (click here for information). Together with Elizabeth, his wife, they were recently recognised for their many accomplishments by being accepted for membership of MA (The Meditation Association of Ausralia) in the personal development, medical, and spiritual areas of living and teaching; and were also granted the Siddhartha Award from the Shiva Ashram for their many years as international teachers of meditation. Ken has taught in UK almost every year since 1981 with many hundreds of people attending his workshops in that time. He was recently also awarded the ITAA'S Muriel James Living Principles Award for 2016. Venue: The Berne Institute, Berne House, 29 Derby Road, Kegworth DE74 2EN, England. Then there are those who have started meditation recently have done it for years and find they are becoming jaded about their patterns, wondering if they are making a difference. This workshop contains multiple practices, tips, meditations, and orientations. Each one can quicken the arrival of splendid results. Also, it is a beautiful opportunity to learn from Ken for two consecutive days. You can ask your specific questions and get answers to them on the spot. Catalyzing awakening through shared experiences and practices with all who attend the workshop. The two days afford us lots of time to understand and benefit from all that occurs during that time. Opportunities for focused discussion on what you need. Ken intends that, by the end of the workshop, you will have refined your practice, so it empowers your goals for Awakening much more than you already have. Lunch: There are cafes nearby, or bring your own lunch. There will be a chance to ask questions and to experience an initiation into the Vedic Mantra. This is a potentially life changing opportunity to start on a path to a full understanding of our Selves and our world. Ken and Elizabeth Mellor have taught meditation and acted as spiritual mentors for many years. They are members of ATMA (Australian Teachers of Meditation Association) and are certified by the associatiion to teach in the therapeutic, personal development, spiritual areas. Thousands of people have been introduced to meditation by them and have benefited. Fee: The evening is free. Donations to cover costs are welcome. In the presence of Life Itself we experience utter silence and transparency. There we can discover our Selves as we never have before. The hunger or thirst to do this is powerful in everyone. Somewhere within, we all know that our completion lies here. We know that we need to 'go in' as 'deeply' as possible, that this is how we need to connect with the Source of Life. And we can succeed with this simply by paying alert attention as we remain silent and undistracted by others around us, while living through what arises in our silence and aloneness. Eventually we can discover that there is actually nothing to do, that all we need is 'to be'. We 'go in' by witnessing, by experiencing and by living all the layers in us that are part of our world-bound lives. These layers have developed in us all throughout the years we have lived. Complete physical silence and stillness gives us enough time to explore what is involved. Having sufficient time to do make the discovery is an essential ingredient. This practice promotes the direct experience of our beings beyond our day-to-day experiences. The workshop gives us extended opportunities to enter silence and reap the rewards. Click Here to download the outline of the processes of the workshop. Read this in advance to make sure you agree with them. Venue: The Trigonos Centre, Plas Bala Deulyn, Nantlle, Caernarfon, Wales LL54 6BW, U.K.
Times: 9.00 am to 9.00 pm (Sat. to Thurs. ); 9.00am to 3.30pm (Friday). One Full and One Half Scholarship are Available: Please contact Jim for details. Jane Roberts, a channel for an entity she called Seth, famously quoted him as saying, “The point of power is in the present moment”. This statement, whatever its origins, encapsulates profound wisdom from the use of which we can all benefit greatly. During the two days of the workshop, Ken will lead us through an exploration of the truth and practical value of this statement. The workshop includes many opportunities for discussion (Q&A), paired and small group exercises, and other chances to practise the suggested techniques.